One of the most significant problems for many Haitians is the lack of financial savings to cover large expenses when they arise. Many families are just one unplanned financial disaster away from crumbling – which often results in broken relationships. 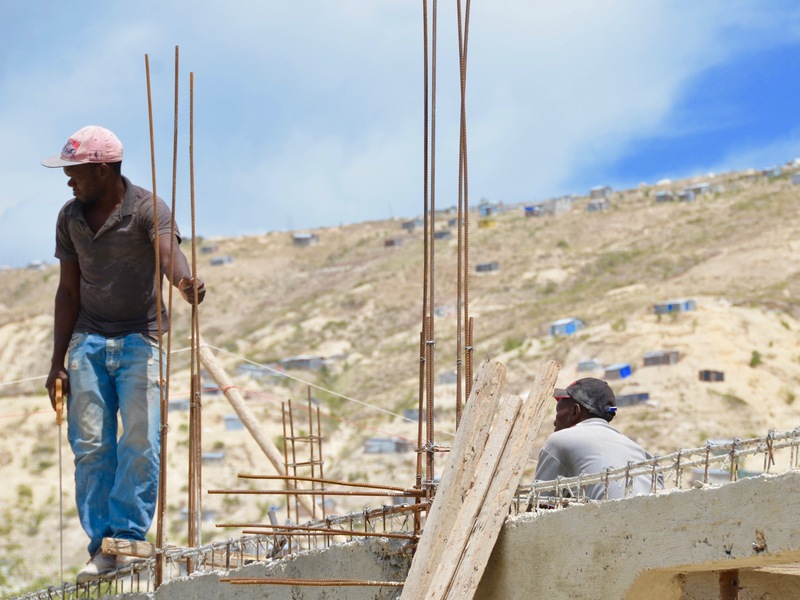 Though lack of employment is certainly a problem, even many Haitians who have jobs don’t have any financial safety net. After all, most wages here barely cover a person’s basic needs. People need a savings cushion to pay for things like school tuition, medical care, and unplanned emergencies. 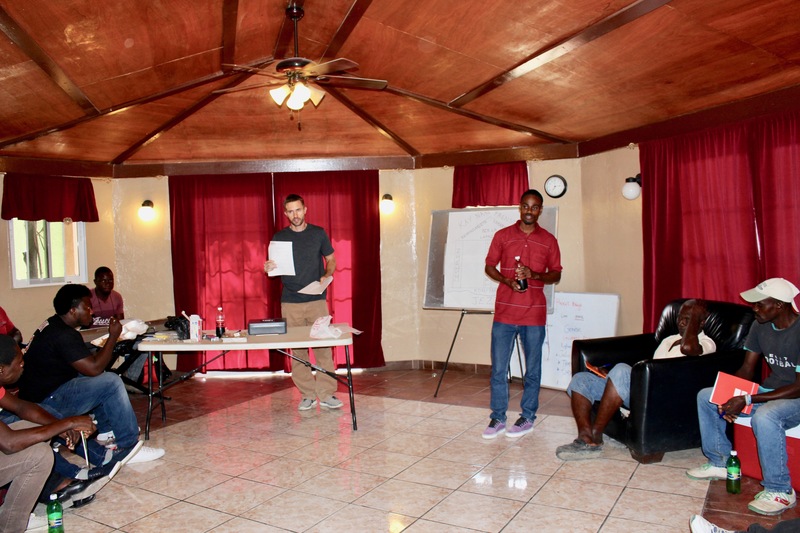 Haiti lacks many of the financial systems that we often take for granted and in many cases, people turn to assistance from foreigners and NGOs for this financial cushion. Unfortunately, there is little dignity and sustainability in this approach, only dependence. 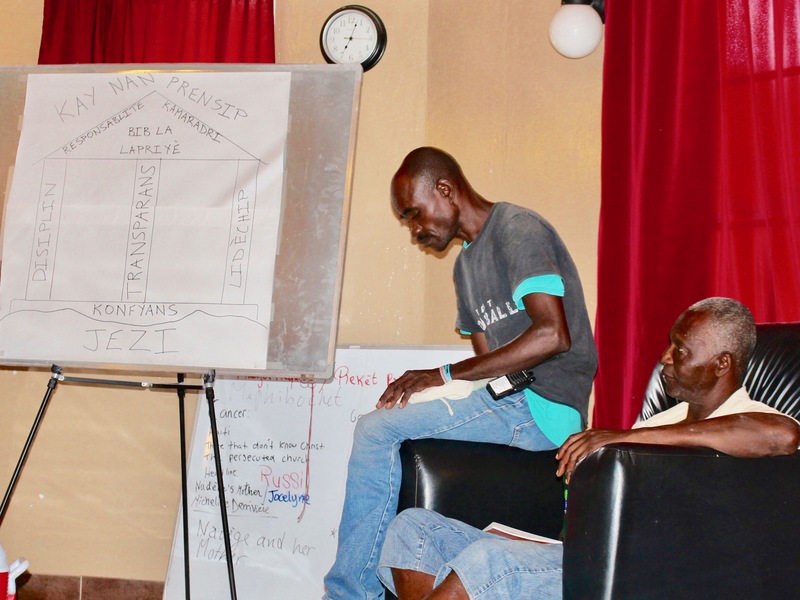 The Heartline savings group is committed to empowering Haitians like Pierre with a more dignified and sustainable way to provide for their families. Pierre’s wife and five children are his pride, joy, and number one priority. He has a job and works hard to provide for his family’s necessities. Yet every year, Pierre struggles to scrape together enough money to cover the cost of tuition and books for his children (school in Haiti isn’t free!). Like so many people in Haiti, Pierre is one unplanned financial disaster away from not being able to come up with the funds for his children to remain in school. Each week, more than 20 individuals from the Heartline family gather together for savings group. Members of the group learn about finances, save money for future needs, and contribute to a fund that provides loans when unexpected expenses arise. But the group doesn’t only save money – together, we are learning about God’s design for our finances. We understand that poverty is the result of broken relationships with God, others, creation, and ourselves. We understand that Jesus Christ is our rock and has the ability to renew any and all broken relationships. When relationships are restored, a community exists. Our savings group is more than just a financial literacy group, it’s a community that has learned to trust in one another. Our group has three pillars that keep us together: leadership, discipline, and transparency. For leadership, we’ve elected our own leaders (president, secretary, and treasurers) who organize the weekly meetings. For discipline, each member is responsible for attending all meetings and saving a minimum amount of money each week. For transparency, nothing is done or decided without all members knowing about it. 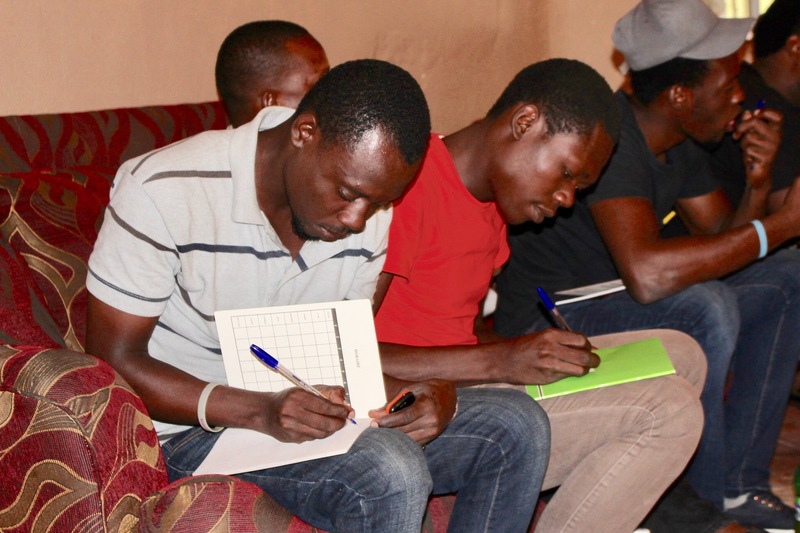 As the amount of savings has grown within the group, members are now able to receive loans to assist them with large expenses. 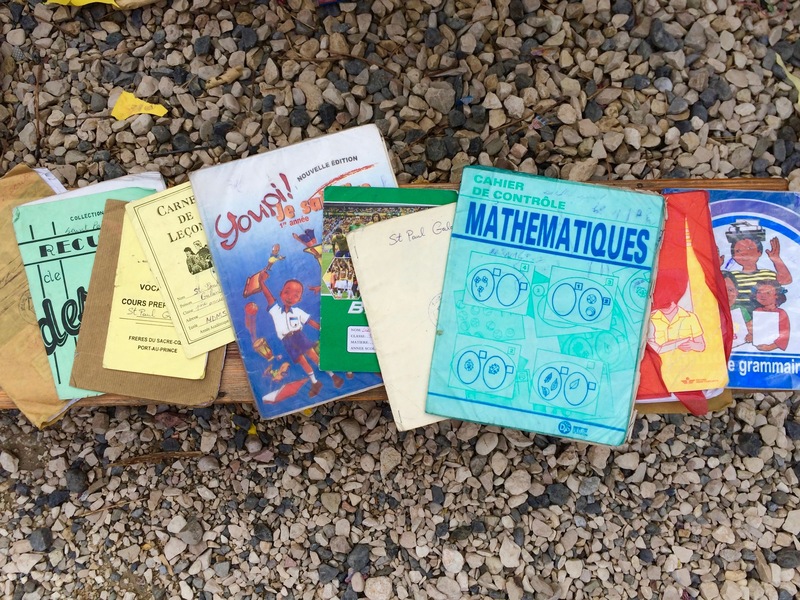 This is the financial cushion that most Haitians simply do not have access to. 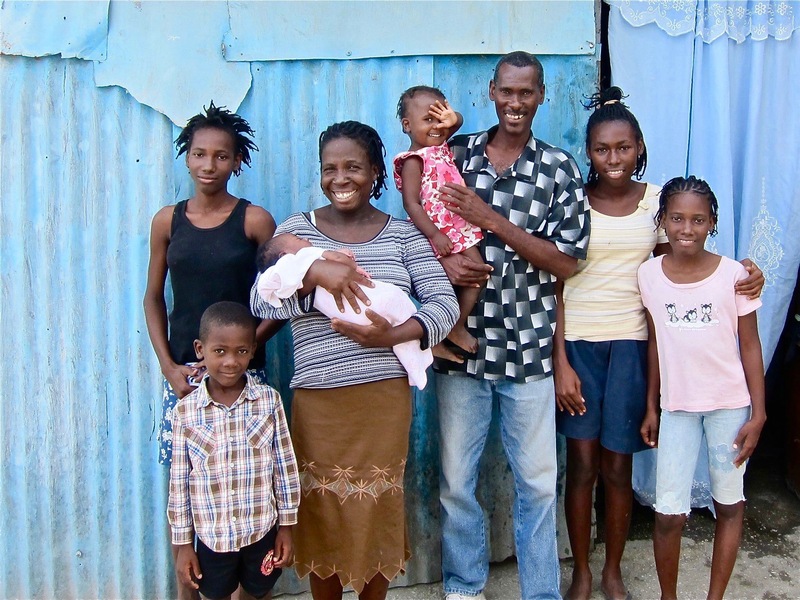 Pierre was the first member to apply for and receive a loan – which he used to purchase school books for his children. Without the savings group, Pierre would not have had the funds to cover this expense and would have been left with the choice of turning to a foreigner or NGO for assistance or sending his children to school without the required learning resources. It’s been a real joy to see the group save almost $1,000 in the first four months of our existence! They have done this with their own hard-earned money. This is dignity at its best! We are so grateful for your unceasing prayers for Heartline Ministries. Your prayers and support help provide dignified opportunities for Haitians – empowering families to stay together and provide a brighter future for their children. God is doing amazing things through everyone’s hard work! What a beautiful way to facilitate a community that can help one another. We take so much for granted in the States. Grateful they will have each other to lean on.